I hope you had a good Christmas and holiday season! I completed all my orders for the year and am enjoying a break from sewing, although life is just as busy! I did not make a lot of gifts this year, but my daughter Annie made everyone handmade gifts. She truly is talented! 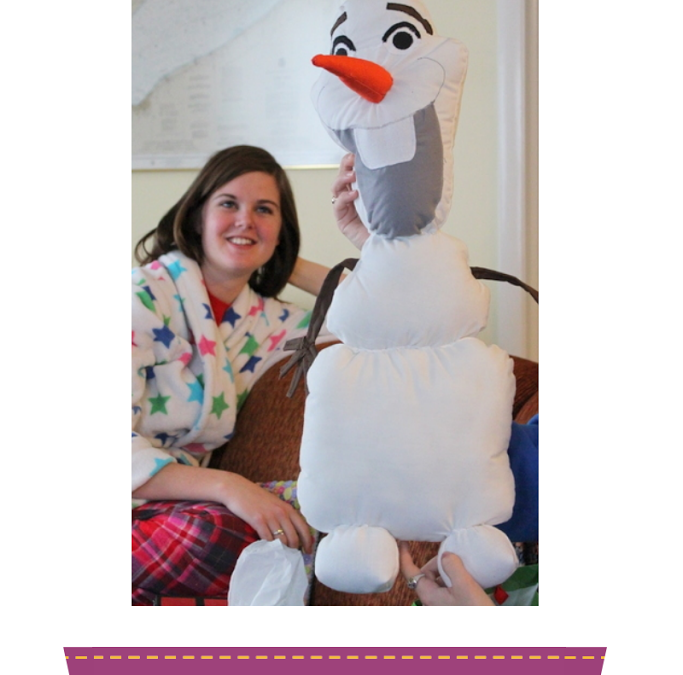 The first is this wonderful Olaf from the Disney movie “Frozen.” The girls love the movie and the music. 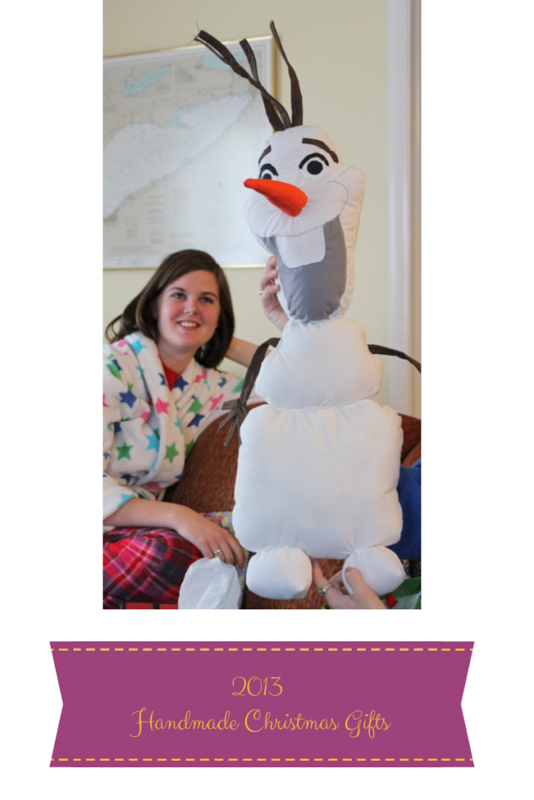 Annie was going to buy a stuffed Olaf for her sister but they are sold out. She said she was going to make one, so she grabbed materials on hand and went to work in her studio. 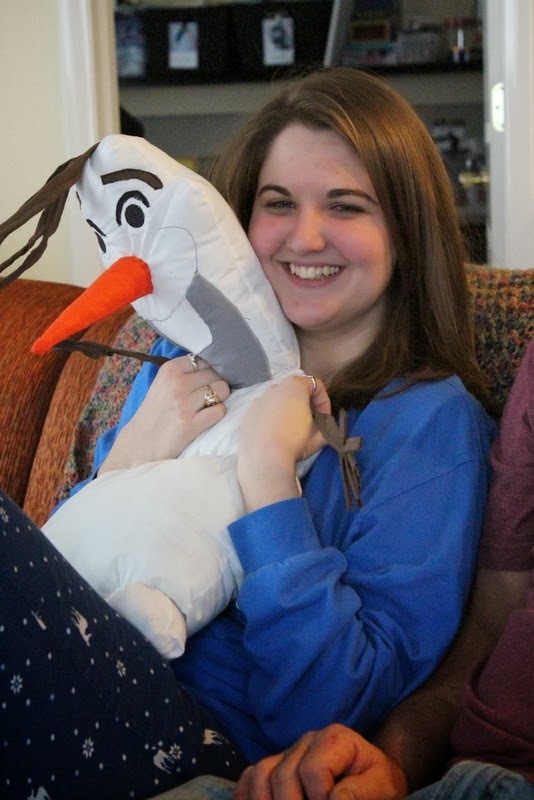 The next thing I know she is holding up this adorable stuffed Olaf! She is going to add buttons which she forgot. as you can see, her sister totally loves it. It trumped all her gifts, I believe! 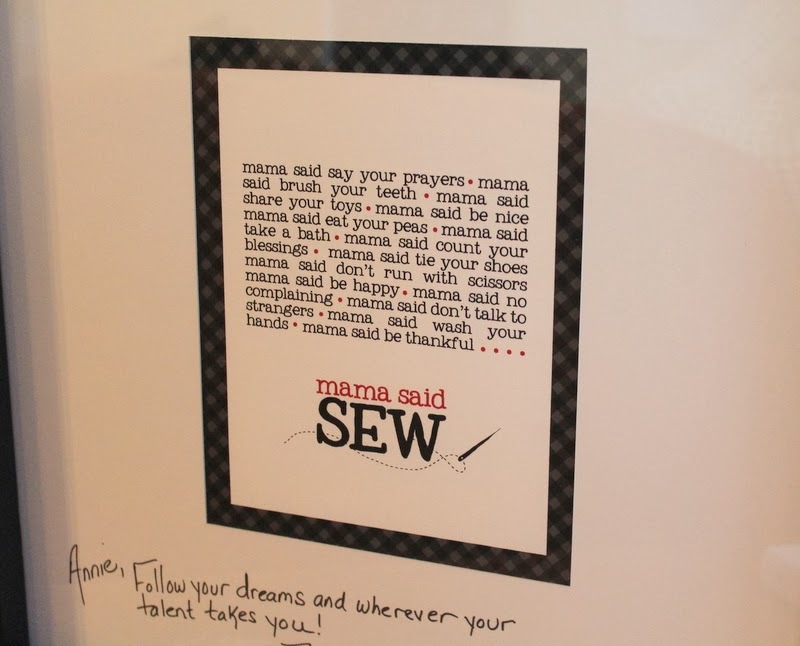 Annie’s babysitter gave her this wonderful print (purchased on Etsy). The print is just perfect for Annie (and me!) They wrote a lovely message to her and had it framed. What a thoughtful gift! My neighbors are always giving us hand-me-downs for which we are very grateful. In the last batch of T Shirts that he (the husband) brought over, his wife noticed this shirt, which was from their honeymoon. She wasn’t too happy that he was giving it away, so I grabbed it and said I’d make a pillow for them. Of course, that took me months to get around to, but offered a good opportunity for a gift! I tried something new for me, which was to make a quilted border rather than using plain fabric. I gathered scraps (with Annie’s help and eye for color) and cut them into two-inch strips. 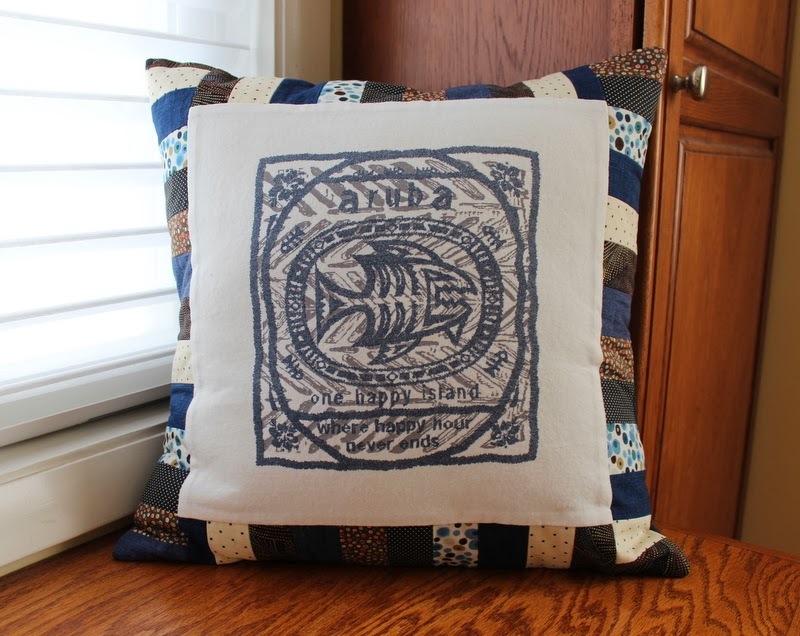 I love the finished look and my neighbor loves the pillow! I used some scrap sweatshirt fleece for the backing. This isn’t handmade and it isn’t Elf on the Shelf. These are a few of my husband’s vintage elves. 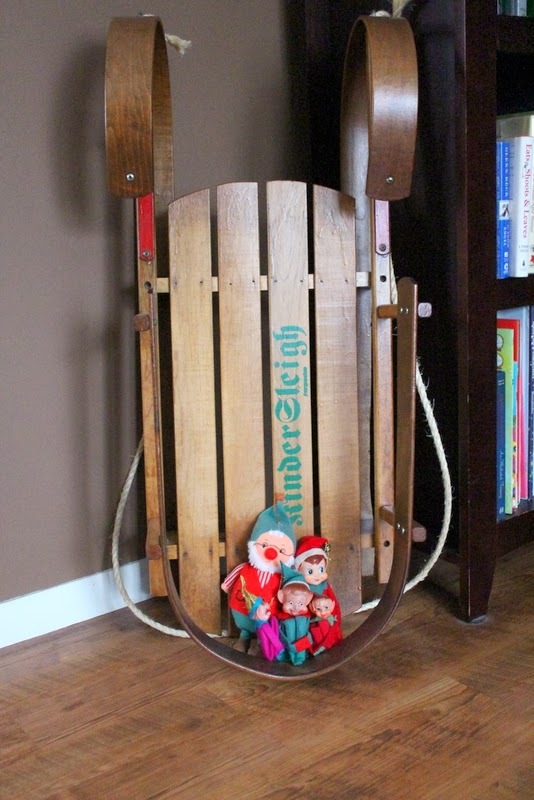 They are sitting on our vintage child’s sled. We bought this for our oldest son and enjoyed it for many years. 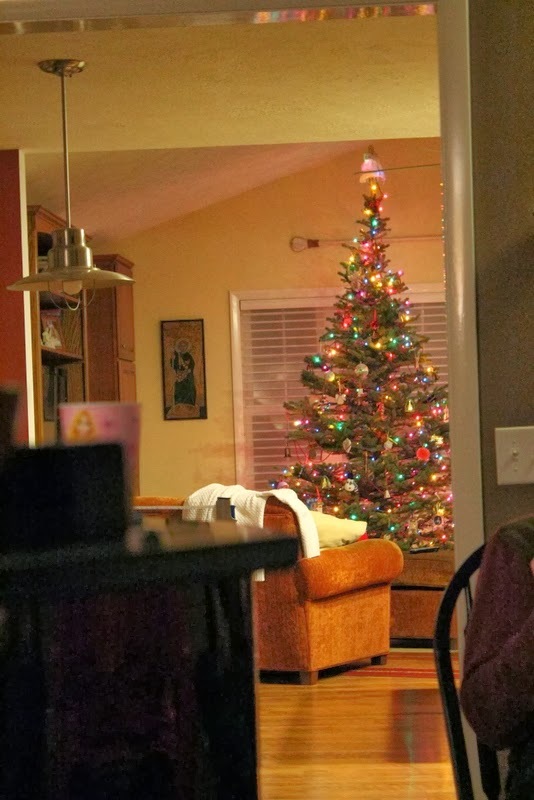 My husband refinished it and we used it as decoration this year. 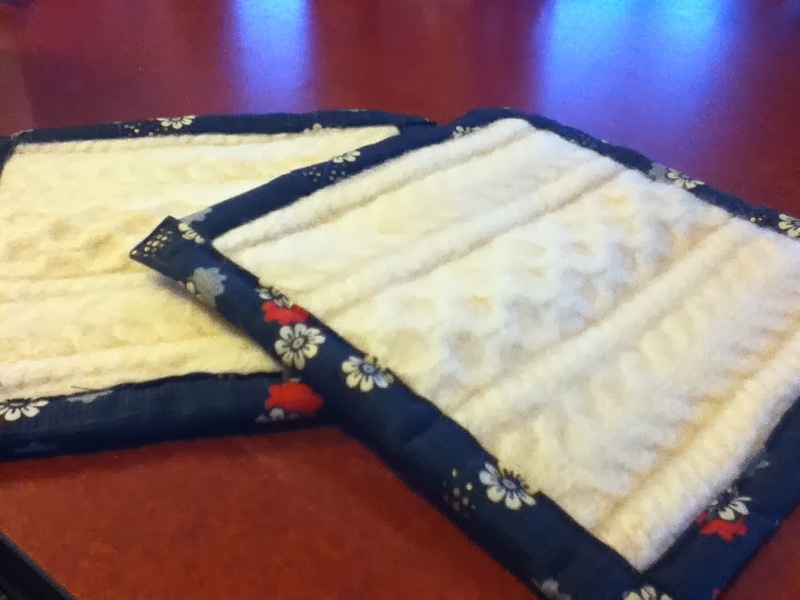 I like to make my knitting friends a handmade gift and I still had some felted sweater scraps, so I whipped up these hot pads! 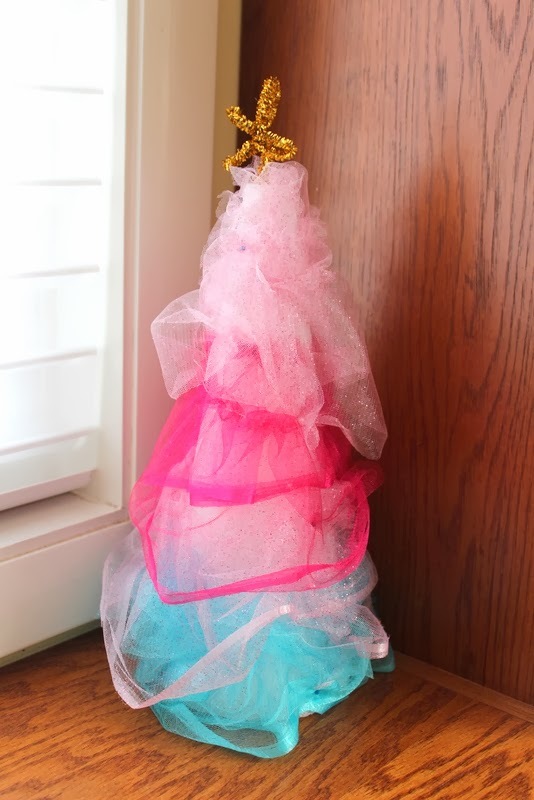 You can find my instructions to make this simple project here. Scarves was the main theme for Annie this year. Unfortunately, I do not have photos of the array that she made. 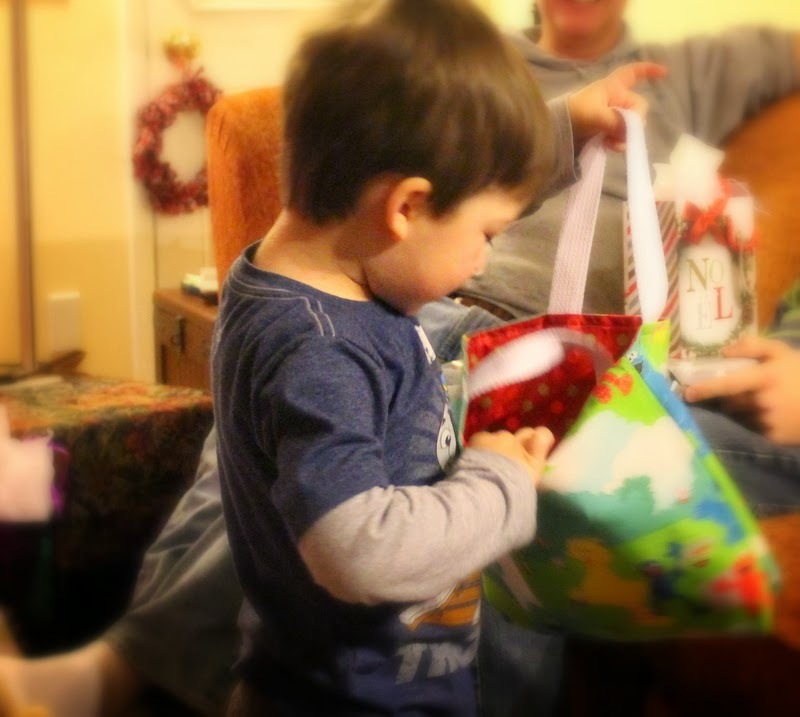 She spent hours picking out the right fabrics for all of her aunts, her two grandmas, her sister and a few friends. She was planning to make a frayed edge, but that took surprisingly long to do, so she picked out fun yarns to create fringe. 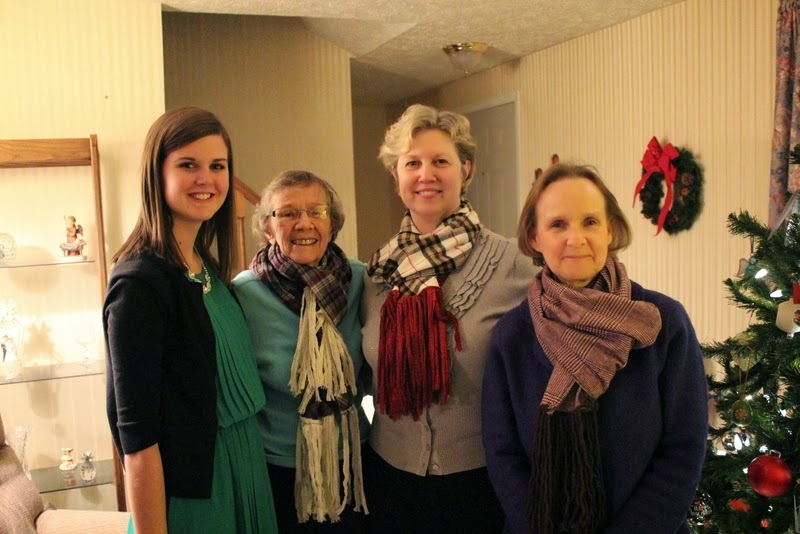 The scarves shown here are made with a lovely, heavy but soft flannel from Joanne’s. She also made knit infinity scarves – some with lace panels or entirely of lace. 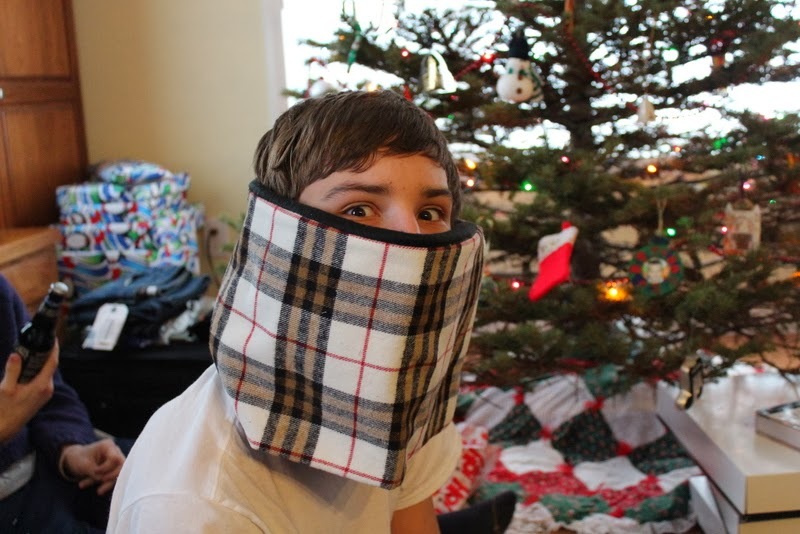 In addition, she made her brothers, dad and me cowls lined with fleece. They are so cozy and warm and stylish, too! Are you amazed yet? We are not even finished with her creations! 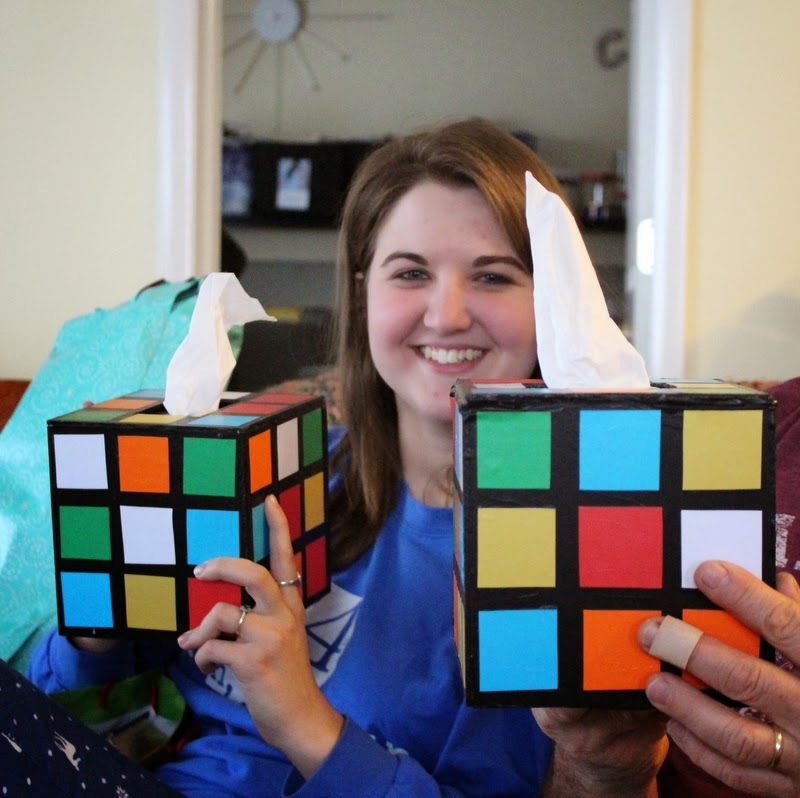 She made these tissue boxes for the big “Big Bang Theory” fans in the house. I had never noticed the Rubik’s cube boxes near Sheldon’s spot until Annie pointed it out to me. She bought some thin wood, cut out the hole, sanded it, glued it together, and mod podged paper squares on it. My mom is 85 and has 6 kids, 18 grand kids and 1 great grandchild. She has always given kids gifts but in the past few years has tried to give one gift to everyone. Some years it was pjs or hats and scarves. Last year she asked me for an idea so I suggested new shirts for our family reunion. This year, I suggested a memory book. The kids had so much fun hearing stories about me and my siblings growing up, that I thought they would appreciate this. That meant a bit of work for me. I started with albums and dug through boxes of photos. It was hard to determine what was important enough to include. You can find yourself wanting to put in everything. 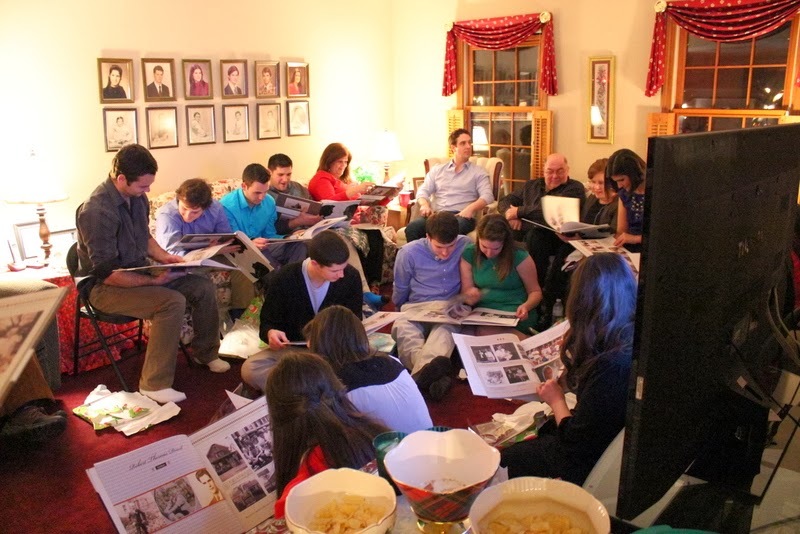 But the idea was to share a bit about my parents and where they came from and how some of our traditions began. 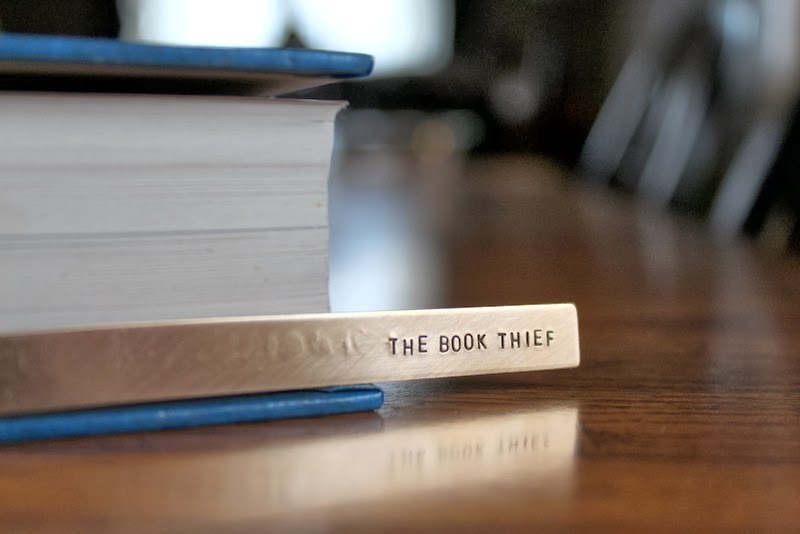 Mom passed the books around and a hush fell across the room. The kids really appreciated it and thanked my mom and gave me a hug, too. It was fun for me to look through the actual book later that night. Despite a few typos, I think it begins to tell the story. 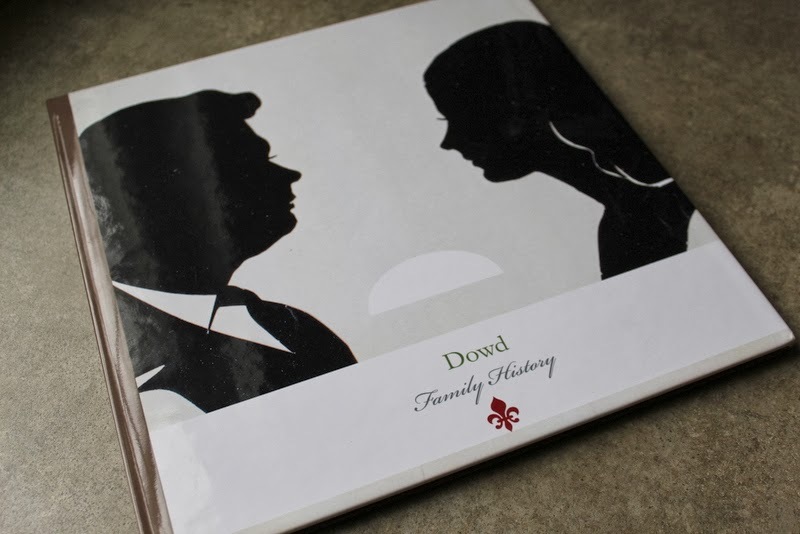 Speaking of books, I created a Shutterfly book for our neighbors. 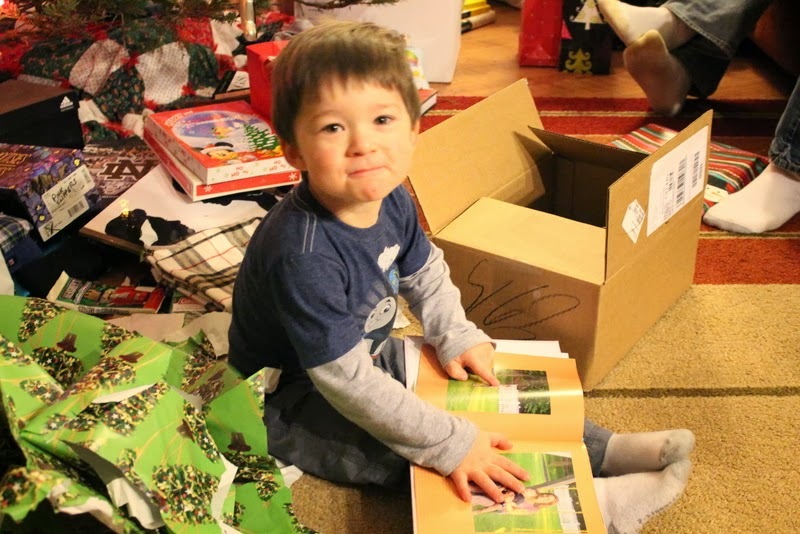 We have some fun photos of their sweet, little boy and I made sure there was a photo of each of us in the book with our names. So it’s a combination memory book and learning book. 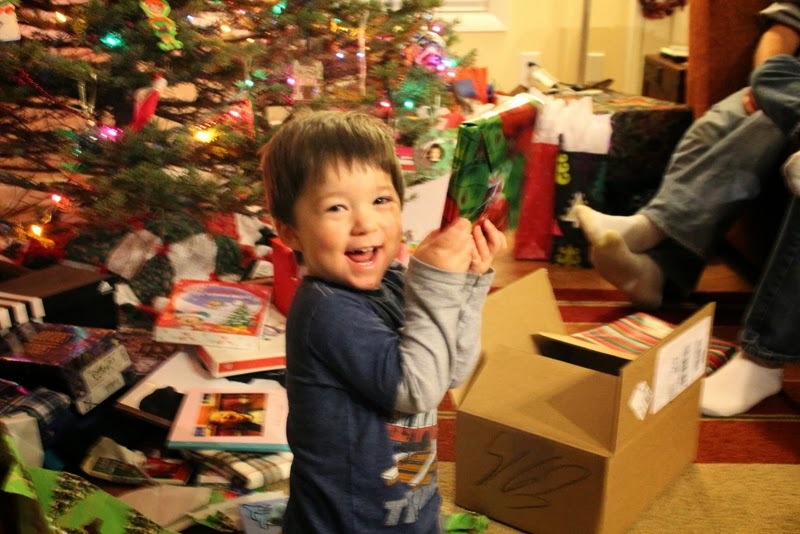 Aw, who can resist the excitement of a little boy opening presents! 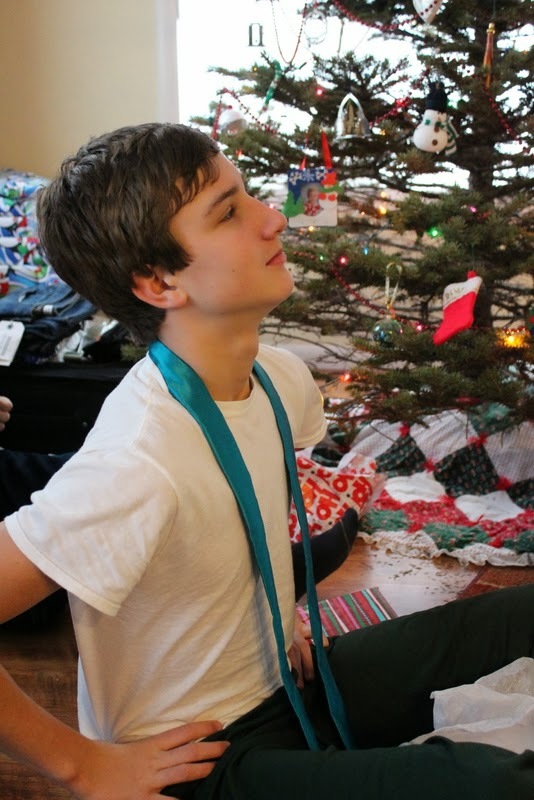 Annie made a skinny tie for one of her brothers and two bow ties for her piano brother! 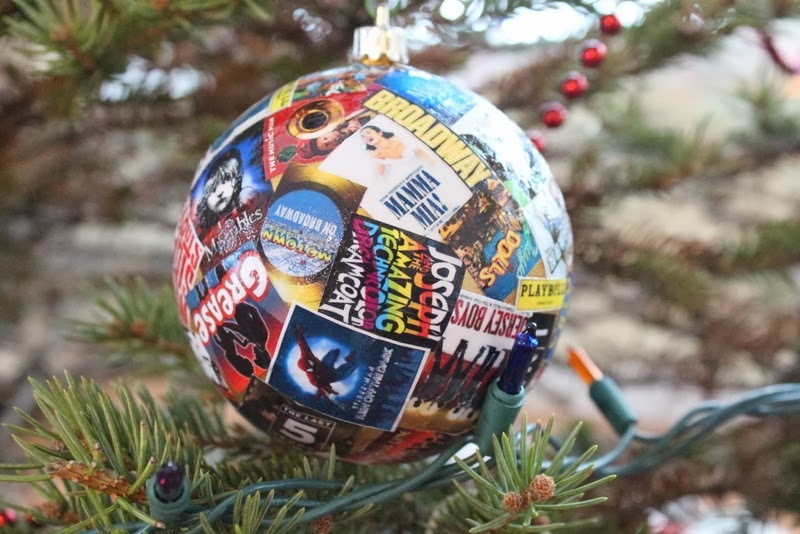 I bought Annie this Broadway Ornament by Three Sisters Plates on Etsy. 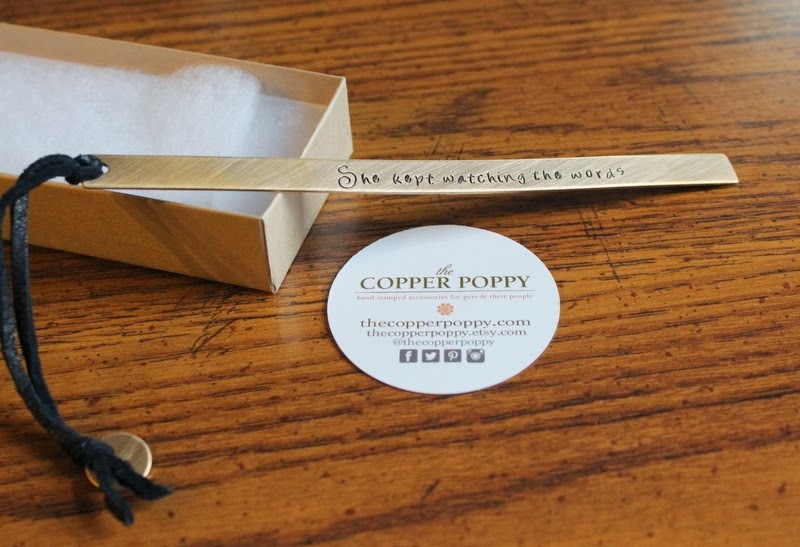 For my book daughter, I had a custom book mark created by The Copper Poppy on Hatch. The seller was wonderful to work with. I tried to find a quote that would fit my daughter and that would fit on the piece. 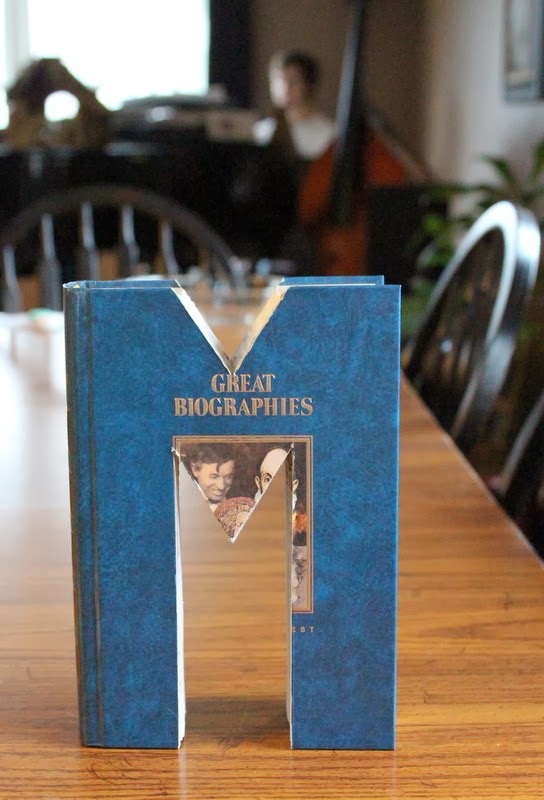 My husband and son also created an Anthropologie knock-off monogram book for her. 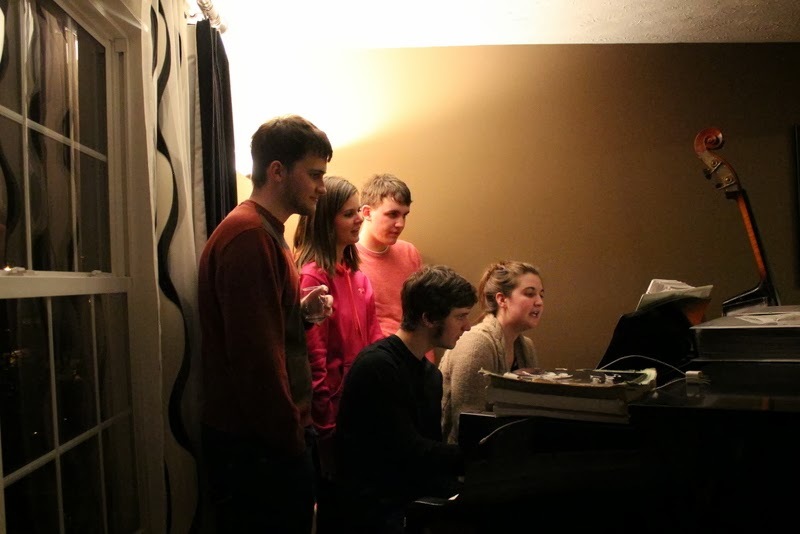 We had a beautiful night of music with a group of kids around the piano one night. And now trying to find the quiet in the chaos. I hope you had a nice holiday season as we head into the New Year! You are one talented family! 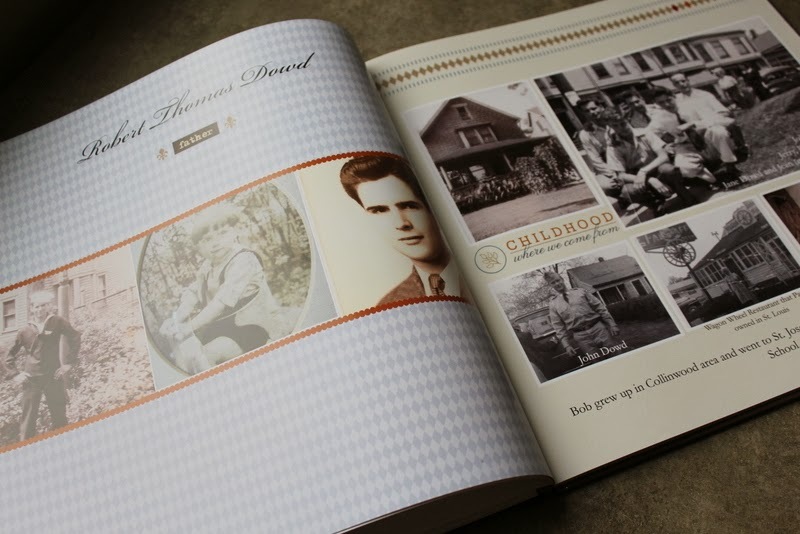 Love the memory book idea.